The sole crossing point from Egypt to the Gaza Strip will be opened on Sunday, border authorities said yesterday. 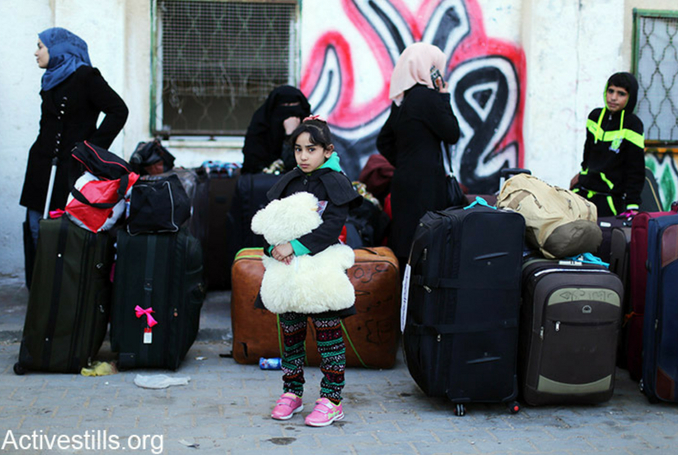 The Rafah border crossing is the only window to the world for people who live under the Israeli blockade. The Rafah Crossing can be open, but this is the untold Palestinian suffering on their way to Gaza. In a statement, the Border Gate Office in Gaza said Egypt would open the crossing in order to ensure the return of the Gazan pilgrims and Palestinian citizens. Egypt is yet to make an official statement on the issue. Gaza’s border office had previously announced on August 15 that the crossing would be closed for six days till the Eid al-Adha holiday was over; then it would be operational on August 26. Under control of Egypt, Rafah is one of the seven gates opening to the Gaza Strip. In addition, the other six gates are controlled by Israel. Four of these have remained closed for years whereas Karam Abu Salim border crossing is used for the transportation of the commercial products, under certain restrictions. Beit Hanoun border crossing, on the other hand, is used for passenger entrance. Be the first to comment on "Rafah Crossing to Open Today (VIDEO) #Palestine #GroupPalestine #israelTerrorists #boycottIsrael"